Patent, Innovative 3D Point Cloud Simplification Method reduces data size while preserving key features, for improved collaboration and communication between scientists, engineers and designers. London, 09 December 2015 – Visual Technology Services announces the Grant of Patent GB2521452 today for Point Cloud Simplification by the United Kingdom’s Intellectual Property Office, supporting large point cloud reduction and report generation implementations in the PDF3D software systems. The technology is successfully deployed and licensed world-wide in the areas of geospatial environmental survey, laser scanning and civil engineering. “With the expanding use of terrestrial, UAV and airborne LiDAR, the volume of acquired 3D point cloud data is expanding rapidly. Encoding point clouds into 3D PDF requires simplification to allow collaborative communication and email distribution”, comments Ian Curington, CEO and co-author of the new patent. “The granting of this critical patent strengthens our position as leader in 3D technical publishing technology using the 3D PDF standard”. The patent covers methods used to reduce the number of samples in a large 3D point cloud. The method achieves optimum sample selection, minimizing distortions and preserving most feature relevant subsets of the original samples or by representative new point locations and attributes. The method achieves good accuracy with efficient practical computational expense compared to previous methods. 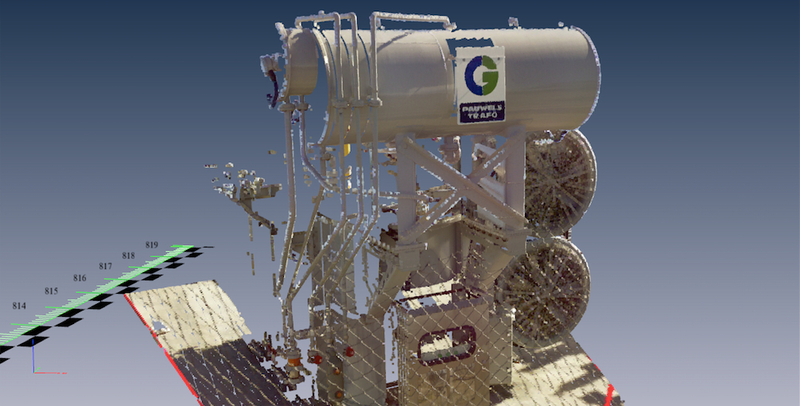 The software implementation of this method is currently licensed to Laser Scanner manufacturers, 3D point cloud processing system vendors and to commercial survey companies. PDF3D (www.pdf3d.com) produce a suite of widely respected 3D PDF software products and plugins for engineers, scientists and developers who need to communicate complex data and 3D models to others in the universally accessible PDF format. PDF3D’s technology provides the fastest and easiest-to-use, highly-compressed 3D PDF conversion available for an ever-increasing range of formats and tools. From 3D CAD to GIS, DWG and LIDAR, PDF3D works closely with users and programmers within the engineering, geospatial, geology, aerospace, architecture, medical and product packaging communities worldwide.